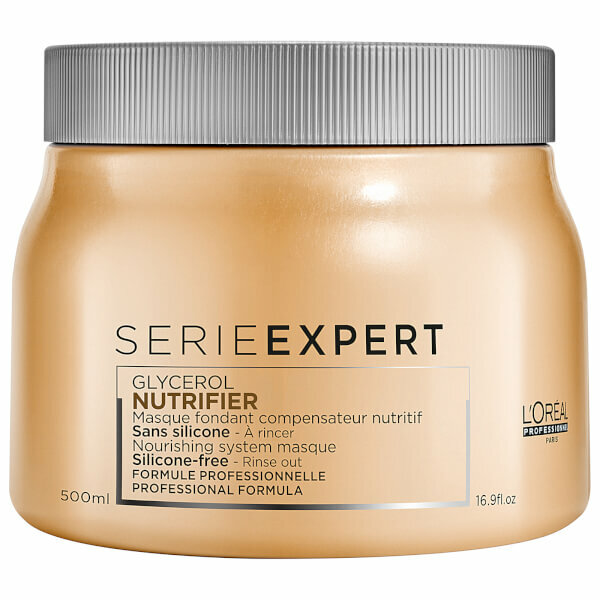 Leave locks sleek and shiny using L'Oreal Professionnel’s Série Expert Nutrifier Masque, an indulgent hair mask that nourishes dry hair. Infused with a luxurious combination of Glycerin and Coconut Oil, the treatment replenishes deep moisture to strands, helping to smooth the cuticle and improve elasticity. 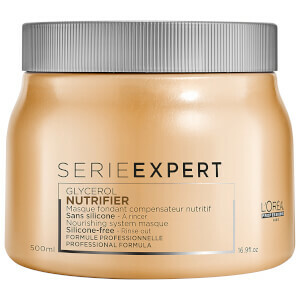 The formula infuses hair with a brilliant shine for a radiant and healthy-looking finish. Suitable for dry hair types. Apply evenly to towel-dried hair. Leave on for 3-5 minutes. Rinse. In case of contact with eyes, rinse them immediately.